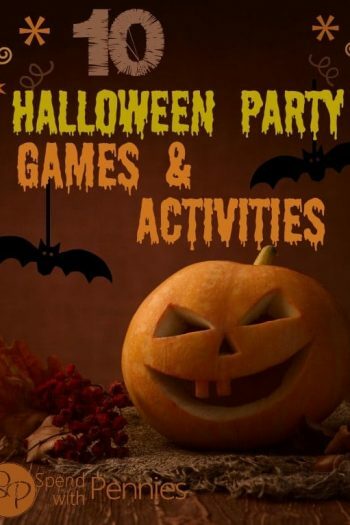 Pin it to your HALLOWEEN BOARD to SAVE IT for later! Halloween is the season of endless candy! 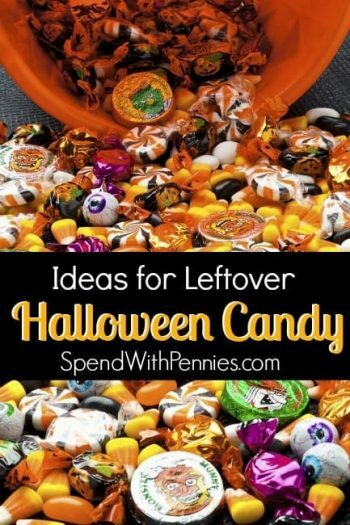 Candy corn, candy bars and so many other sugary treats. 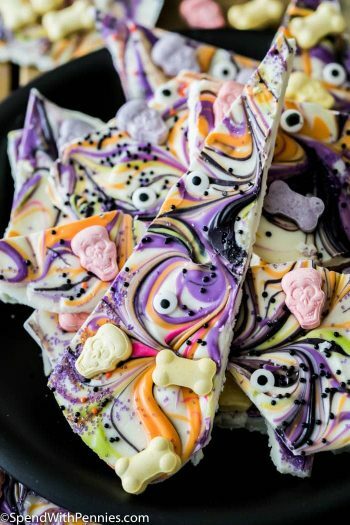 Here is a list of yummy and fun Halloween Treats that are healthy! 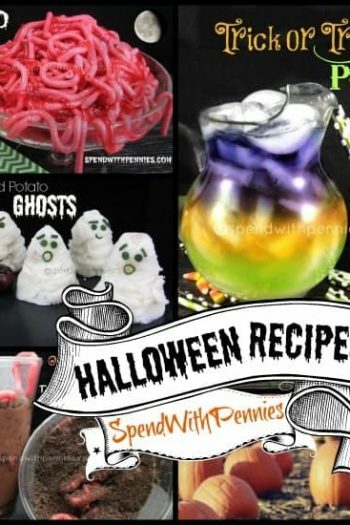 It’s a great time to let kids know that while treats and candy are great, good food can be fun too! Read below for some great ideas! 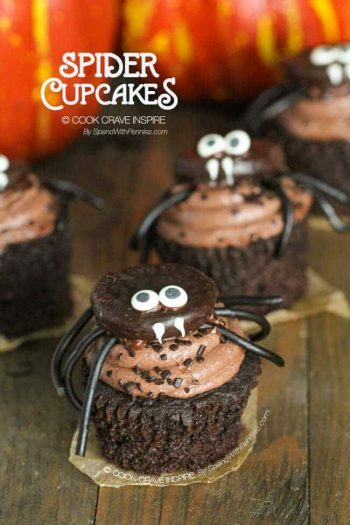 Do you have any special Halloween or fall snacks you like to prepare? Add your own great tips in the comments below! 1. 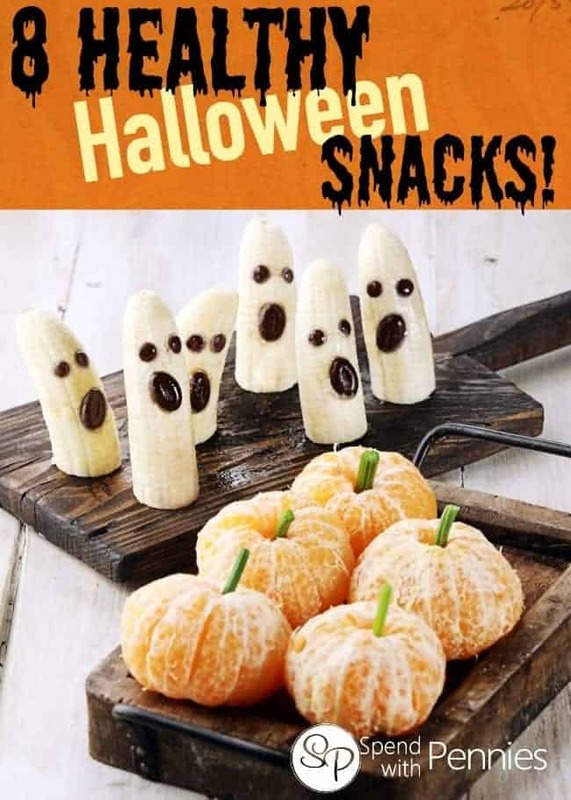 Banana Ghosts: Half of a banana decorated with chocolate chips, edible google eyes or a little frosting makes for a cute and healthy treat! 2. Orange Pumpkins: Little mandarins or clementines are easily turned into cute little pumpkins with just a simple stalk of celery poked in the top! 3. Cheese String Fingers: You can whip up these adorable witches finger cheese snacks in just seconds! Love these! 4. 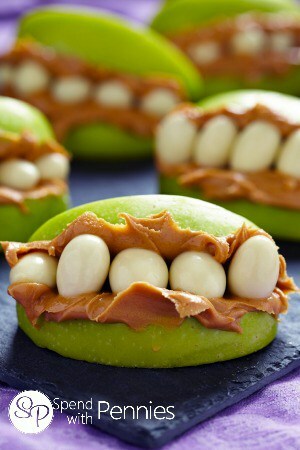 Apple Monster Mouths: Cut an apple into quarters, remove the seeds and remove a wedge from each. Fill the mouth with peanut butter and yogurt covered raisins or almonds. 5. Roasted Pumpkin Seeds: For older kids, roasted pumpkin seeds are a deliciously healthy snack! To roast your own pumpkin seeds, preheat the oven to 300 degrees. Wash your seeds removing any pumpkin pulp, toss with a little bit of olive oil and a pinch of salt. Bake 45 minutes. 6. Pumpkin Pie Dip: This is a delicious dip for fruit or graham crackers… and pumpkin is full of fiber and vitamins! Pumpkin Pie Dip recipe here! 7. Spider Deviled Eggs: Make a traditional deviled egg. Chop a black olive in half. The first half will be the body. Slice legs out of the other half. 8. 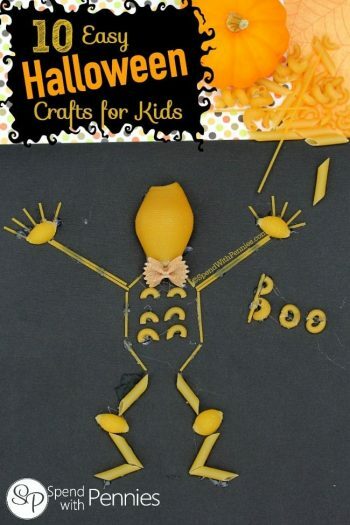 Witches Brooms Cheese & Pretzels: Here’s another adorable idea! Pretzels & string cheese make a yummy little witches broom snack! Fun for any age!